Regulation of the Ontario electricity system has evolved over the last one hundred years, and continues to do so at an ever-increasing pace. The industry today, which serves over 4.7 million electricity consumers, is inextricably linked to government and government policy on the economy, the environment, and First Nations; for many in the industry, getting a grasp on the legislative and regulatory framework can be a convoluted exercise. Written by three energy law experts, this book takes an incredibly complex subject area and makes it easily understandable to people who are involved in the industry. 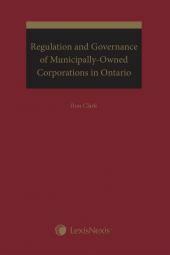 This well-organized, handy reference guide provides background on the dynamics between government, regulators and regulated entities to enable readers to understand the way electricity is regulated in Ontario. Provides a practical analysis regarding the significance of certain legal provisions related to the field of electricity, whether they occur in contracts, statutes or board decisions. Focuses on the importance of key legislative provisions and why they are relevant to certain players in the electricity field. Simplifies complex industry rules and regulations, making them understandable to the reader. For instance, the IESO Market Rules and interpretations consist of thousands of pages of materials written in technical jargon; this book condenses those materials to retain the meaning, but delivers them in a way that people can get through and understand. Describes the evolution of Ontario's electricity sector due to changing government policies. Summarizes the different ways in which Ontario procures new electricity generation facilities from the private sector. 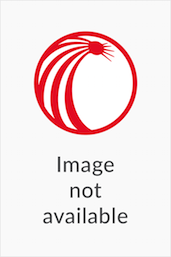 The book provides a useful summary of the important issues and policies at play, and provides references to source materials for people who need to dig deeper on a given issue. Makes references to relevant government policy objectives, so that lawyers can understand the principles and key points that will be at play and will be important to most clients. Unlike other books on energy law, this book focuses specifically on electricity, and delves deeply into this subject matter. For instance, it deals with electricity procurement contracts at a level that other books have not done. Private practitioners involved in energy law can advise clients on the rules and regulations pertaining to Ontario energy legislation, particularly with regards to the generation, transmission, distribution and retailing of electricity. In-house counsel who work at an energy or natural resources company are able to advise their employer on compliance with Ontario energy laws. Utilities, retailers and generators can use this book as a reference tool for their consultants, engineers, and accountants. Scott Stoll, B.Eng.Mgt., P.Eng., LL.B., is a partner and member of Aird & Berlis LLP's Litigation and Mining Groups, as well as the Energy, Environmental, First Nations and Infrastructure Teams. Scott is both a lawyer and licensed professional engineer. He has over twenty years' experience in the energy field, first as a project engineer and more recently as a lawyer. Scott has extensive experience in the electricity and natural gas sector. He regularly represents distributors, generators, retailers and transmitters in the electricity industry, in addition to representing distributors and storage developers in the natural gas industry. He provides advice to clients regarding the regulated environment in which the energy industry operates including OEB rates, licenses and facility applications, IESO-administered markets and regulatory compliance. He has advised project proponents with regard to the recent procurement processes of the Ministry of Energy and the OPA and he has also assisted clients with issues about market participation and compliance with the IESO Market Rules. Scott also advises clients on various environmental matters. Fred Cass, LL.B., has been a partner at Aird & Berlis LLP since 1983. He is Co-Chair of the firm's Energy Group and a member of the firm's Litigation Group. Throughout his career, Fred has practised in the energy and energy regulatory field and he has developed deep expertise and knowledge in this area. Fred is recognized as a leader in the energy field by publications such as The Canadian Legal Lexpert Directory and Best Lawyers in Canada. He is the author of Canadian Green Energy Law and Policy, published by Carswell in March 2012. Fred has appeared before energy regulatory tribunals for over 30 years and is actively sought by participants in regulatory proceedings to provide advice with regard to policy and strategy. 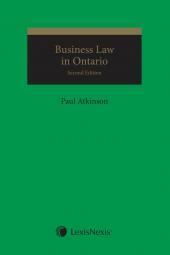 He has appeared at all levels of the Ontario courts and the Supreme Court of Canada and he has been appearing before the Ontario Energy Board for more than three decades in a wide variety of proceedings, including rate cases, facilities cases, system expansion cases and generic hearings. In addition to his extensive experience in cases before the Ontario Energy Board, Fred has also appeared as counsel before the National Energy Board.